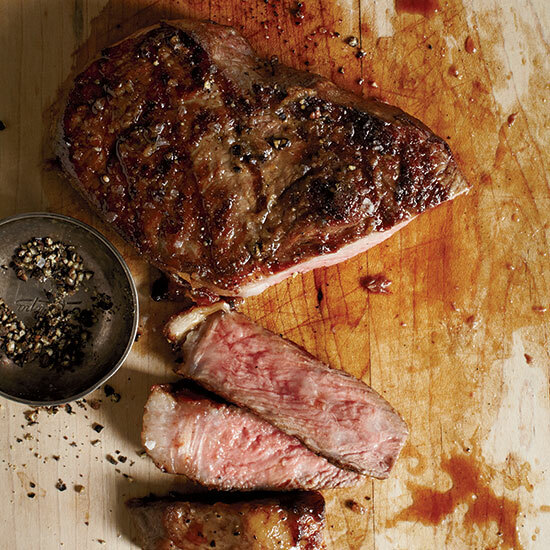 This year, bring the steakhouse experience home for Valentine's Day. 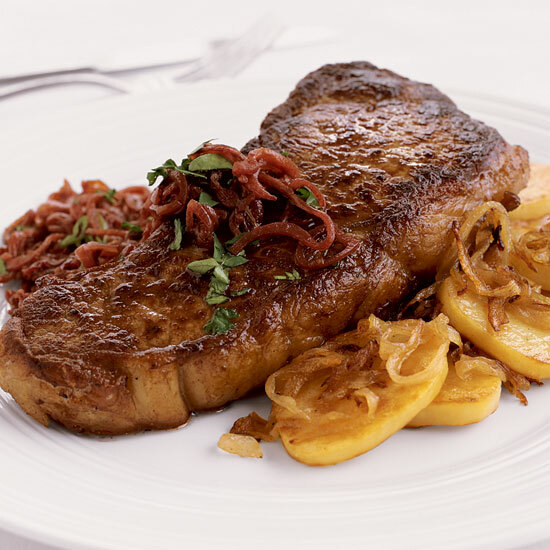 Impress your date with a romantic dinner featuring a large, juicy, show-stopping steak. 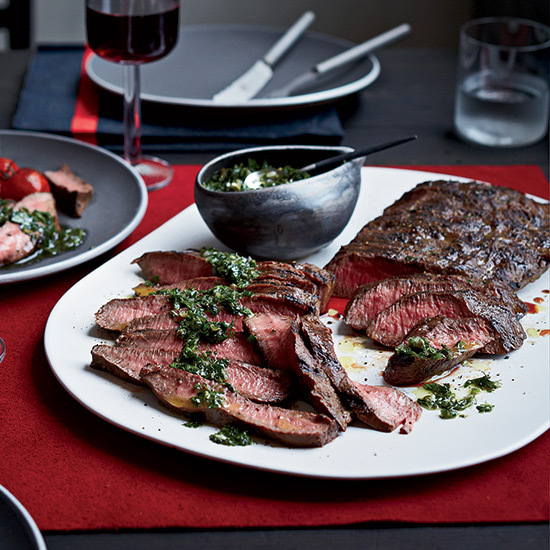 From buttery rib eye to old-school porterhouse, here are nine delicious steak recipes to win Valentine's Day. 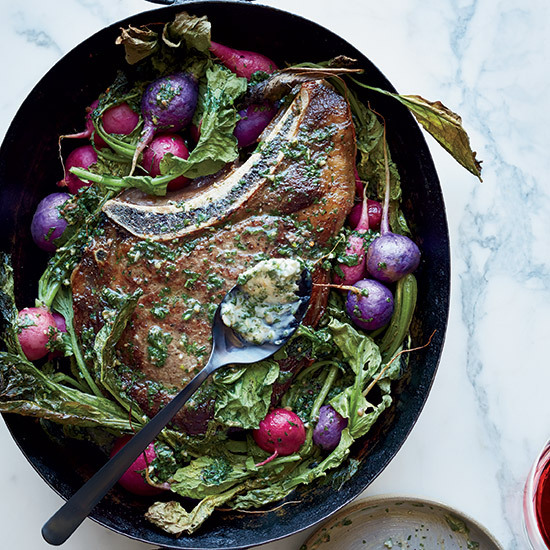 Mario Batali drizzles giant T-bone steaks with a peppery olive oil just before serving. Big, thick steaks need a lot of seasoning, so be sure to cover them liberally with salt, pepper and any rub before grilling. What's the secret to this amazing steak? Baste it with garlicky anchovy butter while it roasts. 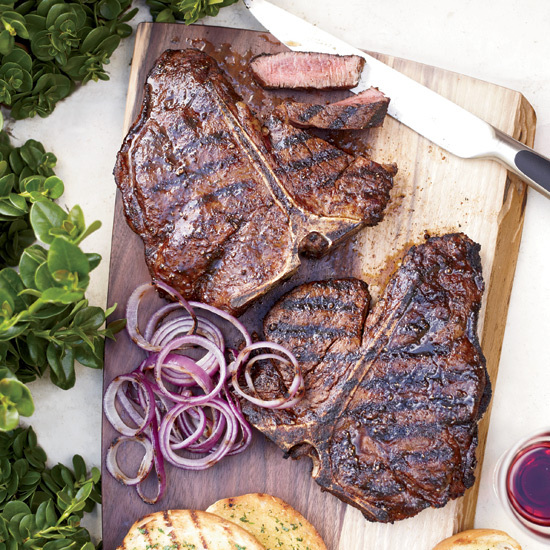 Butcher Tom Mylan loves making big porterhouse steaks like his father did in the 1980s—brushing them with a simple and delicious combination of bottled barbecue sauce spiked with cheap beer. 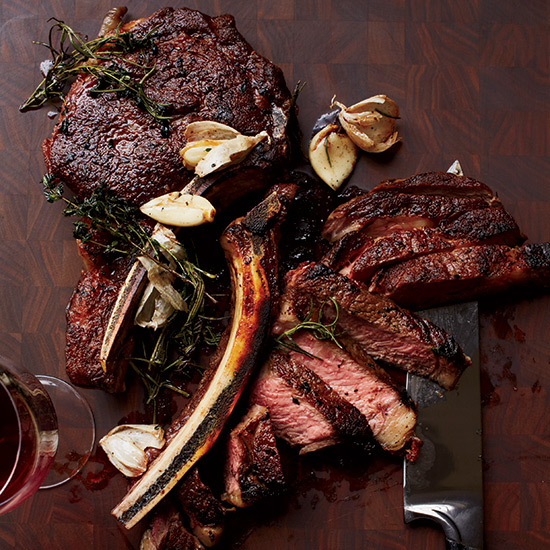 Butcher Tom Mylan loves making big porterhouse steaks like his father did in the 1980s, brushing them with a simple and delicious combination of bottled barbecue sauce spiked with cheap beer. A buttery red wine-and-shallot sauce with a touch of sweetness from balsamic vinegar turns a simple, juicy flank steak into a special meal. This tasty butter enhanced with Gorgonzola, shallot, tarragon and Worcestershire is great on any steak, including this quickly grilled flat iron. Blue cheese butter made with Gorgonzola, shallot, tarragon and Worcestershire sauce adds great flavor to any steak. 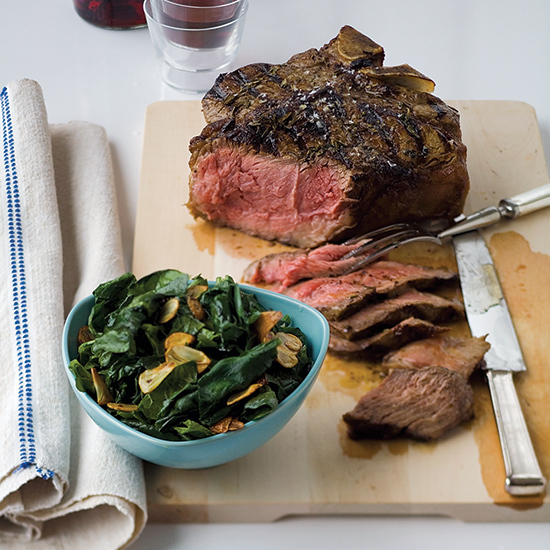 Star chef Daniel Boulud's delectable steak is ready in just 30 minutes. 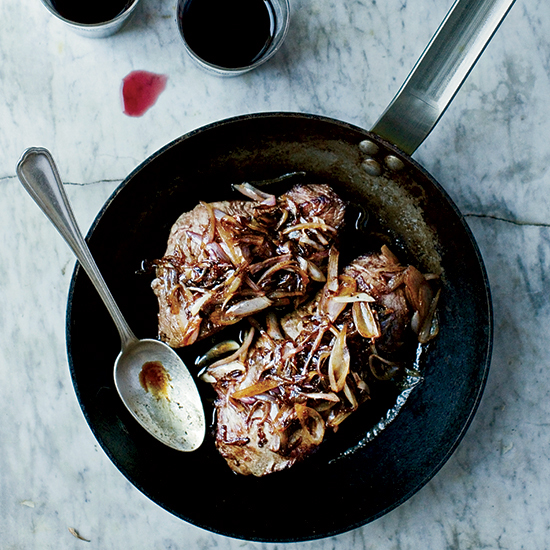 These steaks get a terrific boost of umami from the anchovies and mustard in the marinade. 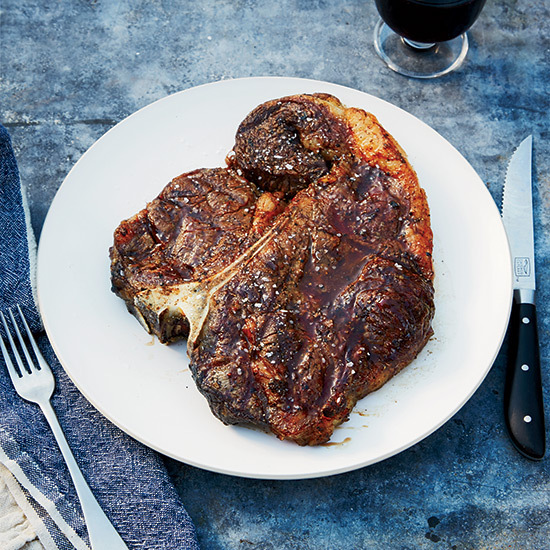 Halfway through cooking, these bone-in rib eyes are basted with a mixture of butter, thyme and garlic, so they're crusty outside and richly flavored.